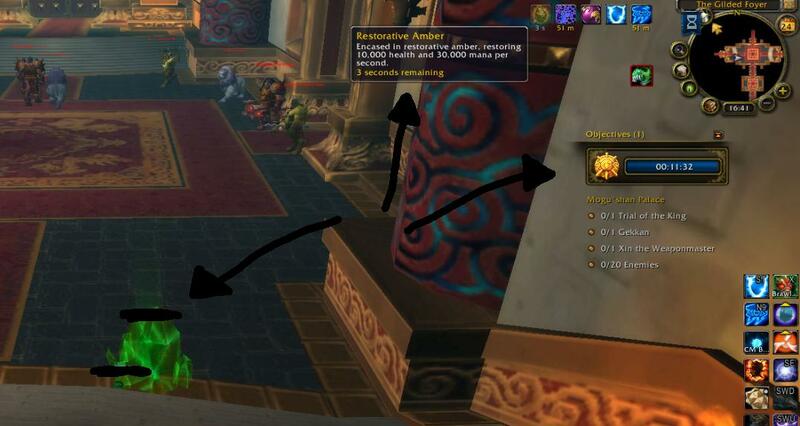 Master of World of Warcraft : CHALLENGE MODE: How to complete gold-challenges easily! CHALLENGE MODE: How to complete gold-challenges easily! Todays tip is about saving time while running Challenge Modes. This item is available from The Klaxxi faction after reaching honored. This is used instead of regular drinking from a mages table or w/e. You'll get topped off within 10 seconds, instead of up to 20 during a normal 'drink'. You can easily cut off a minute during a Challenge Mode, due to the fact that you dont have to wait for the healer to drink! 1 minute saved in a Challenge Mode? - I'd buy that. Here is a screenshots of this trick! Super handy.